Coming up short in two of his last three outings, Thai mixed martial arts hero Shannon “One Shin” Wiratchai is more determined than ever to bounce back and right his ship, as he returns to action at ONE: CLASH OF LEGENDS on Saturday, 16 February. Fortunately for the 30-year old star, he gets to begin his road back to redemption at home in Bangkok, Thailand. Wiratchai says that being able to perform at home is an experience unlike any other. 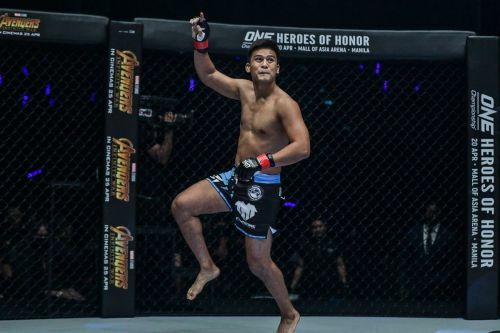 An eleven bout veteran under the ONE Championship banner, Wiratchai can easily be considered one of the promotion’s longest-tenured stars, having made his debut at ONE: PRIDE OF A NATION back in 2012. Always a fringe contender in the lightweight division, Wiratchai is now ready to make a move to become a legitimate top star in the most talent-filled weight class in ONE Championship. “I started to aim for the top again – the top guys. It’s good inspiration and motivation for the next year,” Wiratchai stated on the ONE Championship website. “I am ready for anyone in the division,” Wiratchai added. With all of Bangkok firmly behind him, the Bangkok Fight Lab and Tiger Muay Thai representative vows to put on a show for his hometown fans.